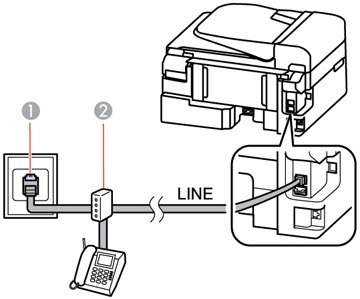 Note: If you do not connect a telephone to your product, make sure to turn on Auto Answer mode. 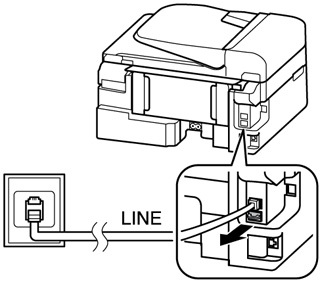 Otherwise, you cannot receive faxes. 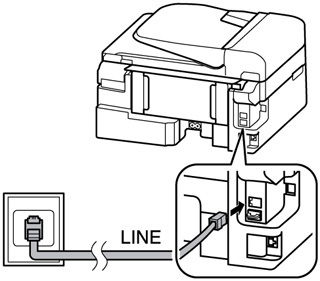 Connect the phone cable to your telephone wall jack and to the LINE port on your product. 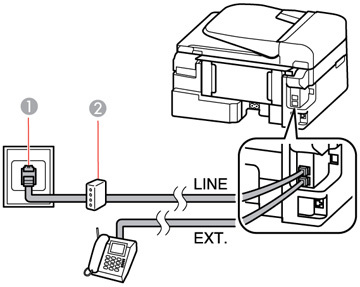 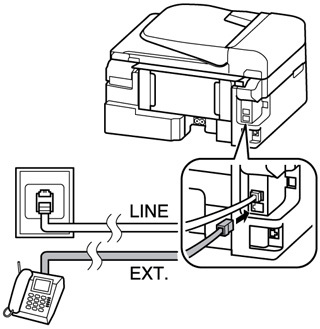 Connect the second phone cable to your telephone or answering machine and to the EXT port on your product. 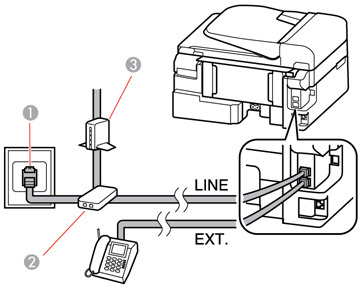 Note: If you connect an answering machine and Auto Answer mode is turned on, make sure the product's Rings to Answer setting is set higher than the number of rings your answering machine is set to answer a call.